The kitchen is the heart of every home. It's a space for cooking, socialising or even quiet contemplation. So you need it to be a room that's practical while reflecting your personal tastes and lifestyle. 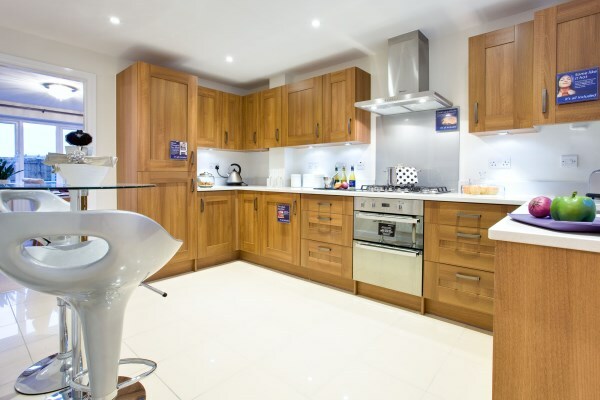 That's why at Bovis Homes kitchens are designed to make the most of the space, while leaving you with some fun choices to make to personalise the room - and it's all included in the price. 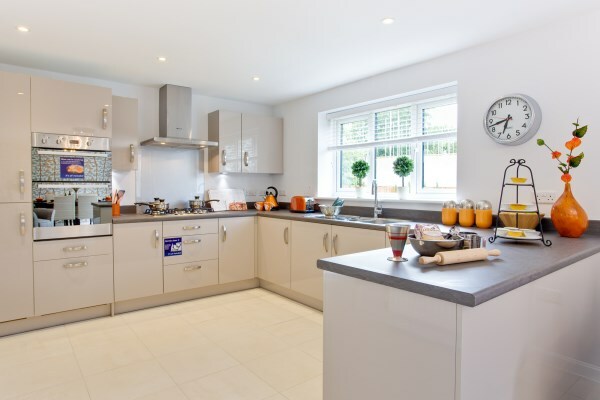 Bovis Homes have teamed up with Moores and Symphony, two top kitchen design companies, to offer you a comprehensive choice of classic and contemporary styles. What finish would you like on your kitchen cabinets? Warm woods such as modern oak or walnut, a cream finish in classic shaker style, a modern metallic look in three different colours or sleek gloss with integrated handles to create a cool urban design? And you can pair your cabinets with the perfect worktop - with a wide range of finishes. Moores and Symphony kitchen designers have made a recommended combination of which cabinets and worktops work well together. They'll even give you an alternative worktop colour to choose from if their first choice doesn't suit your personal taste - so you won't find it difficult to create your ideal kitchen. But we want this kitchen to be ideal for you and your life, so you can go totally freestyle if you want, and match your choice of cabinet with any available worktop colour to achieve the perfect look. The kitchen in your new Bovis Home is built to last, with quality cabinets, sturdy hinges and attractive, easy-to-clean handles. All units also feature smooth soft-close doors and drawers that help reduce noise levels and prolong the life of your kitchen. We have a range of units to choose from in both Standard and Premium ranges. Come and talk to a sales advisor to find out more. Customer choices subject to build stage.